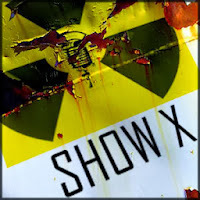 VtWProductions: Show X - Episode 212 - Americans demand satisfaction! Show X - Episode 212 - Americans demand satisfaction! Wayne is finally back home, but not on the main broadcast rig due to his updates to Windows 10. Ken and Kitten Features let us know about a terrible experience Kitten and a friend had. Kitten and her friend were treated terribly at a club. Kitten doesn't let things go until the club manager made things right, which did not happen. They were not prepared for her rage. Social media allows everyday people to seek justice when wronged. In lighter news, Ken sees a musical about Game of Thrones and checked out a Mexican resturaunt that had no spicy food at all, but did provide tequila with a worm that Kitten took like a champ. Wayne finally does some house maintenance and fixes his air conditioner. He played board games with friends, drawing pictures and saying horrible things. In Geek Cred, Ken controls a virtual rod and experiences some nice tranquility. He then continues to click away his days and has finally gotten some time in his shelter. Wayne has been playing more Black Ops II and watching a lot of anime with Fate/Stay, Durarara X2, and Naruto Shippuden.